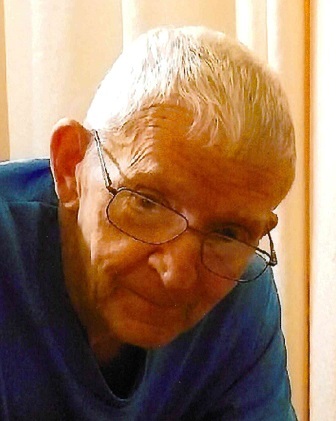 Charles O. Mallory, 85, passed away March 24, 2019. He was born in Perry County on January 13, 1934, son of the late Earl and Mary Theresa (Goffinet) Mallory. Also preceding him in death was his wife, Clara Rita (Ward) Mallory, who passed away March 4, 2019; a sister, Lucille O’Bryan and a brother in infancy Carl Cletus Mallory. Charles retired from Tell City High School in 1996, where he was a custodian for 26 years. He was a member of St. Augustine Catholic Church. Charles enjoyed fishing, hunting, playing cards, going to the casino and spending time with his grandchildren and great grandchildren. He is survived by his children; Richard Mallory (Peggy), Tell City and Cathy Reece (Steve), Louisville, KY; grandchildren, Tabby Goffinet (Glenn), Chad Mallory (Susan), Tracie Harrison (Jason) and Tammy Harrington (Byron); great grandchildren, Mallory and Molly, Paige and Jase, Victoria, Kristy and Taylor; sister, Janice Thompson, Louisville, Kentucky and a brothers, Cecil Mallory (Verona), Derby and Archie Mallory (Faye), Fort Branch. Funeral services will be at 11:00 AM CDT on Wednesday, March 27, 2019 at Huber Funeral Home, Tell City Chapel with burial in St. Mary’s Cemetery in Derby. Rev. Sengole Thomas G. will officiate. Visitation will be from 4:00 until 7:00 PM on Tuesday and from 9:00 until 11:00 AM on Wednesday. Memorial contributions may be made to Derby/St. Mary Cemetery Endowment Fund in c/o Perry County Community Foundation or Chemo Buddies c/o Evansville Oncology, 3699 Epworth Road, Newburgh, IN 47630.